Afgan Mukhtarli in Tbilisi. Image via Kavkazskiye Novosti / YouTube. Some rights reserved.Afgan Mukhtarli and I first met in early 2015, at Prospero’s cafe in central Tbilisi. We were both recent arrivals to Georgia: I was here because an upstart Azerbaijani media outlet had failed to attract a more qualified candidate, and Afgan because his investigative reporting — particularly on the corruption of the country’s military and its ruling Aliyev family — had forced him to flee neighbouring Azerbaijan to end the government’s harassment of him and his family. However, it didn’t stop. Family members who remained in Azerbaijan were still threatened, still followed, and still harassed. Neither did Afgan, who kept reporting, supporting struggling members of Tbilisi’s then-thriving Azerbaijani exile community, and kept protesting. Then in May of last year, the Azerbaijani government escalated their war on Afgan by having him abducted from the streets of Tbilisi and whisked away to a prison in Baku. Earlier this month, he was sentenced to six years in prison. The Azerbaijani state’s attacks on its discontents are always deeply personal. One journalist saw her brother, a rural day labourer whom she credibly believed had never read a word she’d written, sent to prison for a year on fabricated drug charges. Afgan was no exception. He had volunteered to fight in the Nagorno Karabakh War as a young man, and it clearly bothered him that the same state he had once risked his life for was now doing its utmost to destroy him and his family. Afgan’s legendary stubbornness served him well as an investigative reporter, but it also roused the ire of certain parts of the Georgian state. There was no protest he wouldn’t attend — there is a picture, lost somewhere deep in Facebook’s ever-changing algorithm, of Afgan protesting the sentence of youth activist Qiyas Ibragimov with a group of Georgian street punks half his age - and both the Georgian police and the quasi-official security contractors hired by SOCAR, the Azerbaijani took notice. Why, in a country as rich in oil and natural gas as Azerbaijan, are its people still reliant on dangerous gas stoves or burning hazelnuts to keep warm? In the same cafe where Afgan and I first met, less than a year and a half later, Afgan’s wife Leyla Mustafayeva would be interviewed about how the Georgian state abducted Mukhtarli and arranged for him to be “caught” by Azerbaijani border guards while smuggling over $10,000 across the border, in the middle of the night and without his passport. Six months and multiple indignities passed before Afgan was sentenced to six years in prison on charges of smuggling and illegal border crossing. His lawyers are appealing, but much damage has already been done. He has been denied proper medical care for his type two diabetes while in custody, and the Azerbaijani court declined to permit him to travel to the funeral for his sister, niece, and nephew in the town of Zaqatala, who died in their sleep after wind extinguished the flame of the gas heater the family used in lieu of central heating. Due to the government’s decision to try him in a court in Balakan, six hours by car northwest of Baku, for no apparent reason other than to inconvenience his lawyers and discourage journalists from attending the trial, the funeral was less than an hour’s drive away. The sad and tragic death of his relatives was one of the grim outcomes of entrenched elite corruption that Mukhtarli sought to expose as a journalist. Why, in a country as rich in oil and natural gas as Azerbaijan, are its people still reliant on dangerous gas stoves or burning hazelnuts to keep warm? In most countries, the sentencing of a journalist — or anyone, regardless of occupation — on such absurd charges would be a major story in and of itself. In Azerbaijan it barely counts as news. 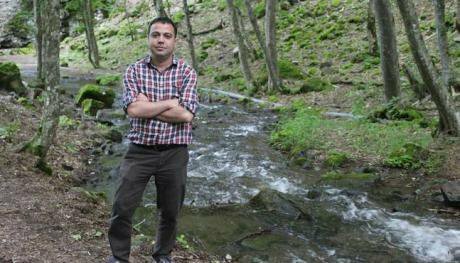 In 2017 alone, a photojournalist and blogger was sentenced to two years for slander for accurately describing his torture by Baku police, and another received seven years for extortion for reporting on police-protected brothels. Another managed to lose all his teeth during a month-long stint for failing to obey police instructions, and three months into pretrial detention over a Facebook post, yet another inexplicably hung himself in his cell. If we were to start counting beyond the legal system, we would note the case of Ilqar Valiyev, who was abducted and tortured by Azerbaijani servicemen near the line of contact with the breakaway region of Nagorno-Karabakh. They had assumed he was an Armenian spy. Valiyev is now in a third country, but he escaped Azerbaijan via Georgia, where Mukhtarli helped him get medical care. 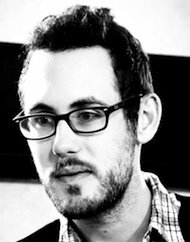 Journalist Ilqar Valiyev. Source: meydan.tvAlthough his case has caught by far the most international attention, Mukhtarli’s kidnapping is part of a trend of closer ties between two South Caucasus countries that are often held up as the poster children for everything that can go right and wrong in “European integration”. Georgia celebrated its long-awaited goal of visa-free travel to the EU last March, while Azerbaijan’s year was marred by the Azerbaijani Laundromat revelations and the delay of the signing of a new partnership agreement with the EU. From Brussels or Berlin, one could be forgiven for believing the two post-Soviet states were moving in opposite directions. It isn’t the case. A recent blog post by Alexander Lapshin, an Israeli-Russian travel writer who ran afoul of the Azerbaijani authorities about evidence submitted during his prosecution, revealed that Georgia responded to a request for information on his entry and exit from the country with a wealth of supplementary information. This ranged from property Lapshin owned in Batumi to data on those who happened to cross the Armenian border shortly before or after him in late 2016. As most other countries ignored Azerbaijan’s requests — even a friendly state would probably question why the request was not sent via Interpol — it raised questions about what prompted Georgia’s enthusiasm. On a macroeconomic level, Azerbaijan is the biggest source of foreign direct investment in Georgia, investing more than twice as much as any European state, and as of this year, its sole supplier of natural gas. In a deal that raised eyebrows internationally and sparked protests among the domestic opposition, last January the Georgian government and Russia’s Gazprom renegotiated how Gazprom pays Georgia for use of its pipeline for transferring natural gas to Armenia. In the past, Gazprom compensated Georgia with an in-kind payment of 10% of the gas that entered its territory, but the new arrangement stated Georgia would receive cash instead. Neither side has revealed the final terms. As the price is likely tied to the heavily subsidised prices Gazprom charges Armenia, it’s hardly likely the deal was favourable to Georgia. In April, then-Georgian Energy Minister Kakha Kaladze announced another deal with Azerbaijan’s SOCAR to increase Azerbaijani gas sales to Georgia to replace the lost Russian gas. As with the Gazprom deal, the financial terms were not disclosed, and the result was Azerbaijan now provides 99% of Georgia’s natural gas. 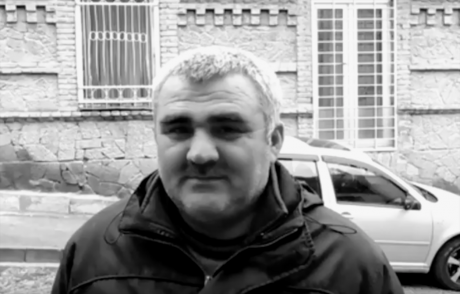 Less than two months later, Afgan Mukhtarli would disappear from the streets of Tbilisi. News of Afgan’s arrest spread quickly across social media, leading to on-air protests by journalists and demands for accountability from ordinary Georgians, many of whom saw their government’s complicity in Mukhtarli’s disappearance as a betrayal of deeply-held beliefs about hospitality and protection of guests. “What if they kill him? What are we going to tell his wife? This is medieval! What kind of Georgian would give his guest, no matter who he is, to an enemy?” said Tbilisi shopkeeper Meda Aslamazishvili to Eurasianet’s Giorgi Lomsadze. Despite the furore, Georgia’s official investigation never got off the ground. Local investigative journalists and members of the OCCRP network quickly discovered that both the security cameras in central Tbilisi and along the Azerbaijani border that would have recorded either Mukhtarli’s abduction or attempt to cross illegally had been either deactivated or their footage deleted. Leyla Mustafayeva and Afgan Mukhtarli, 2016. Source: Mustafayeva's personal archive. It has been months since the Georgian government has offered any updates, and fearing for her own safety, Mukhtarli’s wife Leyla Mustafeyeva took her daughter and fled to Germany. In doing so, she became the latest Azerbaijani dissident or journalist to be forced out of Georgia in the last eighteen months. Beginning in late 2016, shortly before elections that granted the ruling Georgian Dream party a constitutional supermajority, several exiled Azerbaijanis who had filed routine paperwork renewing their residence permits received letters from the Georgian government informing them they would not be renewed on national security grounds. None of them could realistically expect to return to Azerbaijan without facing immediate arrest, and most had no choice by to try their luck at asylum in the European Union. Some were lucky enough to have behind-the-scenes help from a friendly embassy, and others, such as composer and intellectual Elmir Mirzoyev, resigned themselves to the realities of a refugee camp and the risk of refusal and deportation. Georgia, which had long tolerated a sizable Azerbaijani expatriate community of dissidents, intellectuals, and journalists, was unsubtly pushing them to leave. Some who noticed the refusal letters did not seem to be based on Georgian law opted to try to fight the government for permission to stay. 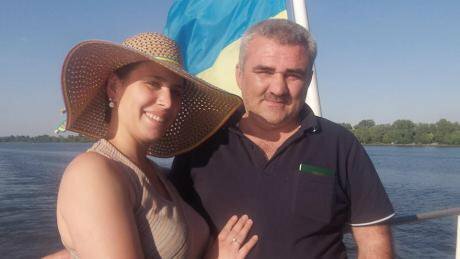 One such couple was Afgan Mukhtarli and Lelya Mustafayeva. Mukhtarli’s sentencing is not the end of the story. His lawyers are appealing, and the case is ripe for the European Court of Human Rights. The Georgian officials who signed off on Mukhtarli’s kidnapping will know that when his term is over — either in six years, or possibly earlier, given Ilham Aliyev’s practice of showing clemency with mass pardons during Nowruz, the Azerbaijani New Year — the notoriously feisty journalist will have a story to tell. Azerbaijan has long escaped significant international pressure for its human rights abuses, both in part due to its relatively low international profile and a moderately successful campaign to buy some of the west’s less scrupulous academics and public figures. 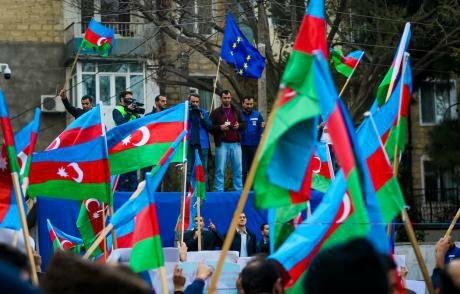 Azerbaijani opposition supporters hold Azerbaijani flag and EU flags during a protest against corruption and political repression at Mahsul Stadium, Baku, October 2017. Photo (c): Aziz Karimov/Zuma Press/PA Images. All rights reserved. But rights advocates are not without leverage — Azerbaijan has still not managed to secure all necessary financing for the Southern Gas Corridor, and the European Investment Bank recently delayed a final decision on a €1.5 billion loan for “due diligence” issues after months of campaigning by environmental groups. Azerbaijan’s longstanding refusal to comply with a judgement by the European Court of Human Rights and release opposition leader Ilgar Mammadov has finally escalated to the point where it is risking expulsion or suspension from the Council of Europe. Baku could opt to quit the Council and leave Mammadov in prison, but in doing so would sacrifice much of the international support it would need to see the breakaway Nagorno-Karabakh Republic reintegrated into Azerbaijan. One day Afgan will be free and resume his quest, to paraphrase his words on the day of his sentencing, to have the last word until the end of his life. It is a dark time for journalism and human rights across the world, but rather than despair, it is the responsibility of those who are free to keep working, writing, arguing, and being the inconvenient citizens that refuse to leave the corrupt and powerful be.